A couple of week-ends ago we went to Western Head, just outside Lockeport. This was our first time here and I had just found it on Google maps. There is a weather station at Western Head to track the tropical storms and hurricames that come up the Atlantic Coast. 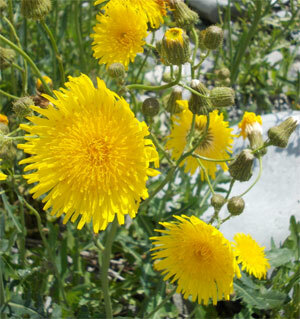 The first thing that hit us was the abundance of beautiful wild flowers. Is this a Ragged Fringe Orchid? I have had real difficulty identifying these flowers, as I only have a European Wild Flower Book. These purple heads look quite like Rose Bay Willow Herb, but might be Purple Loosestrife? 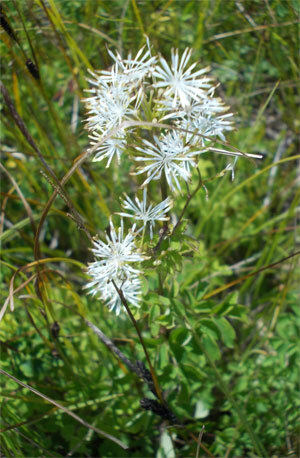 Could these white, spidery flowers be Meadow Rue? These are Swamp Candles – what a great name. I have never seen or heard of them before. Now, I do know what this is! Common Sow Thistle? 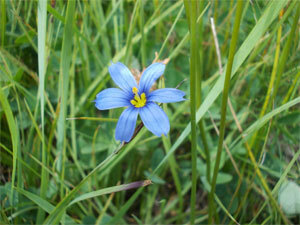 The Blue-eyed Grass is a miniature member of the Iris family. The flowers only last for one day, but new buds open every day during June/July. I’d greatly appreciate help with identifying these flowers. 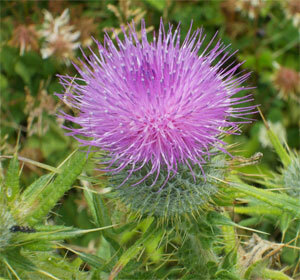 I wonder if the flowers on this small peninsula are particularly good this year because of the great spell of weather. I will return next year to see. 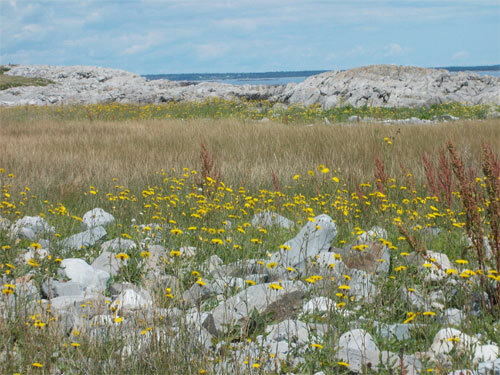 Hi Jackie, I have a book: “Wildflowers of NS, NB& PEI” which has lovely photographs, but I was really disappointed that it didn’t have all these flowers. So I am not able to solve any of your mysteries …. Your photos are so pretty!! Thank you for visiting my Blog and commenting. 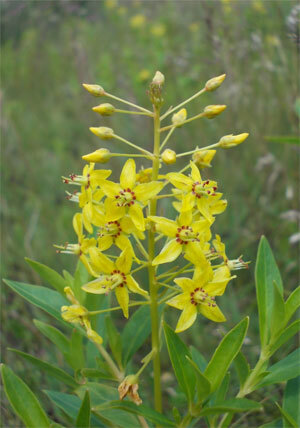 I am sure you are right with Seaside Goldenrod, it does look like that. Thanks. Me again from NS. The second one from bottom looks like purple fringed orchid. Nice photos and blog. Thank you so much for your expert advice. That one is the Purple Fringed Orchid, for sure! 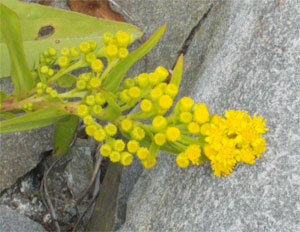 I have only been in Nova Scotia for 5 years, but that is the first time I have seen some of these flowers. I must try to remember all of the names now. Isn’t the internet fun Jackie. I am searching around on the web trying to identify a plant that some sites say is Purple Loosestrife and here I end up back on your page. Goes around … comes around. Hope you’re still enjoying plant identification and the associated meanderings that go with it. 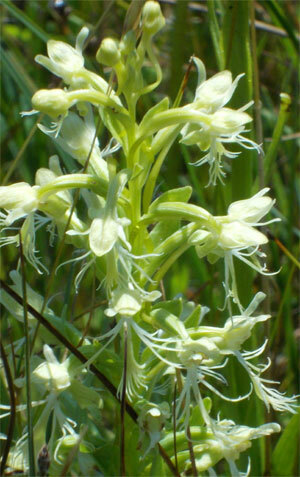 I know I’m a few years late but…… I’m going with Ragged Fringed Orchid for your white one. I use The Audubon Society Field Guide to North American Wildflowers (eastern region) – great book – you can start your search by color and shape. 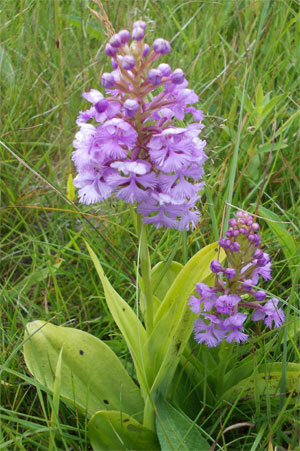 Also Native Orchids of NS by Carl Munden.